In this life, we have an enemy. A very real enemy. An enemy that wants nothing good for you. An enemy that seeks to kill, steal and destroy you. So, yes, we most definitely have an enemy. However, it is not your husband. From day one of the marriage, we become part of a team. A team that consist of you, your husband and God. This team needs all three people to function. But more than just a team, the Bible says in Mark 10:8 that we are no longer two but one flesh. We are one. How can we be an enemy to our self? We can't. We don't yell at ourself or disrespect ourself. We can't be an enemy to ourself, therefore, we cannot be an enemy to our husband. We are one flesh. We may be one flesh, but do we act like it? From my own life, I can tell you the answer is a big fat no. More times than I care to admit we have butted heads or argued or quit talking to each other over something so insignificant. One of us parks the car under the tree and the birds leave us not so nice gifts and the other gets ridiculously mad. One of us forgets to make a phone call or run an errand that the other asked of us and suddenly our world is falling apart. I don't yell at myself or put myself down because I forgot to run an errand. I might be a little put out, but I sure don't yell at myself. So why should I yell at my husband over him forgetting? He's not my enemy. Stop looking at your husband as your enemy and start looking at him as part of you. Give your husband respect and treat him kindly. 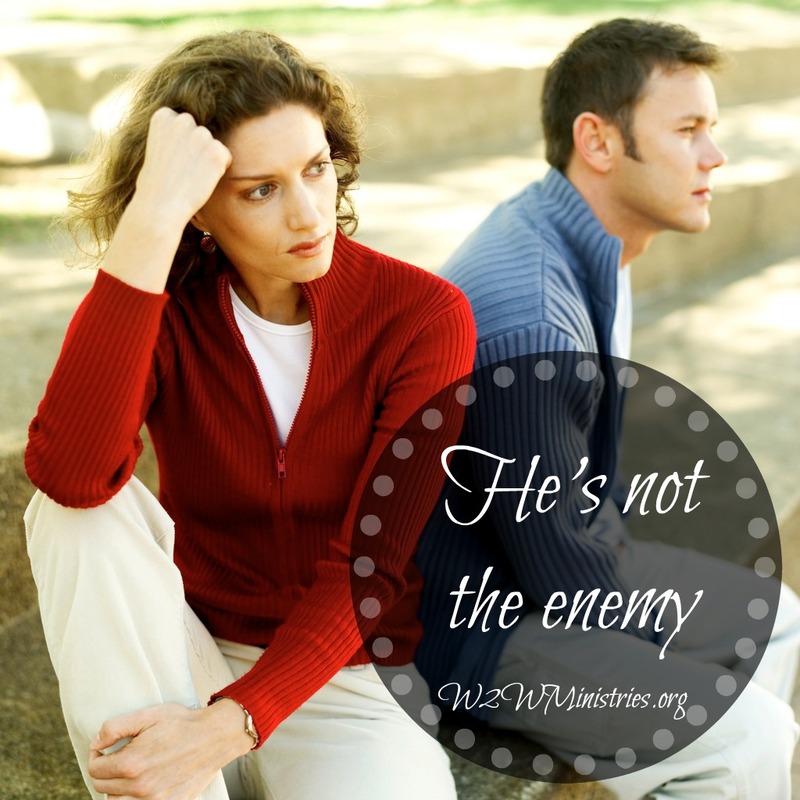 Have you ever felt like your husband was the enemy? How did you overcome this? Do you still struggle with it and would like prayer? Share your experiences in the comments.